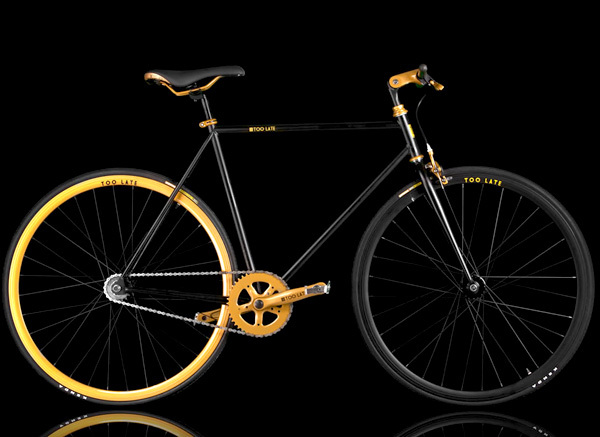 An Italian brand known for innovative designs and a wide range of products, Too Late has introduced a new collection of fixed gear bicycles. 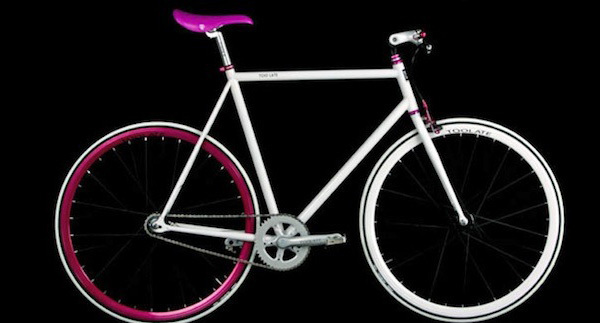 That’s right, another crop of fixies are set to hit your nearest city center and make their way to the urban crowd. 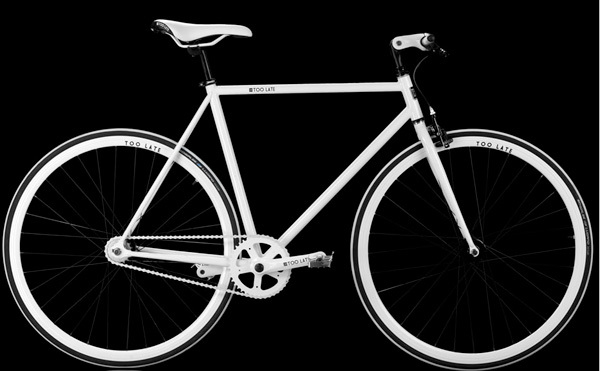 With events like CicLAvia in Los Angeles and similar car-free events in the northwest, the 2-wheeled trend has continued to grow from coast to coast, as well as in Japan and Europe. 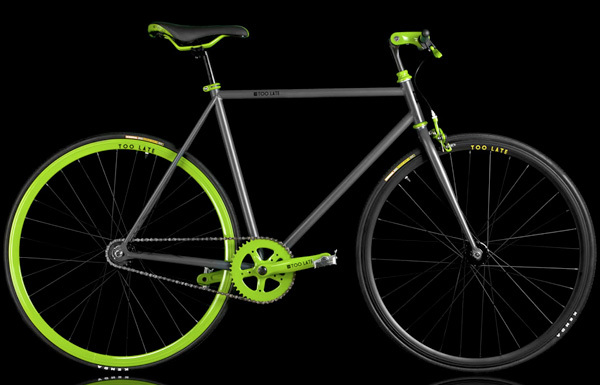 While Too Late’s lightweight, minimal fixed gear bikes feature no ostentatious bells or whistles, they are available in a slew of eye-catching colors. 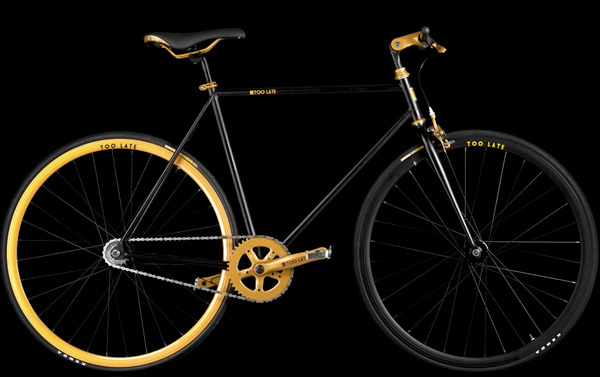 One nice touch is the double mechanism which allows for freewheel riding for relaxed commuting or fixed gear for maximal efficiency and speed. 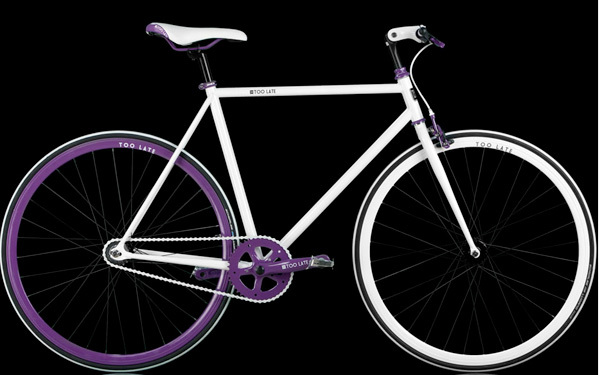 Plus, the straight handle bar and adjustable pipe gives you the option for a leisurely stroll or determined bike stance.